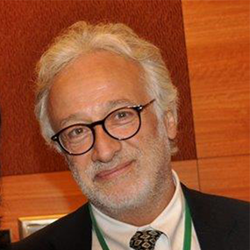 This presentation will discuss the importance of glycan analysis of biotherapeutics, how capillary electrophoresis has been established as a routine analytical platform, and introduce an award-winning fast glycan labeling and analysis technology. Features such as fast automated sample preparation, fast separation times, simplicity of analysis and fully automated data analysis and glycan identification will be covered. 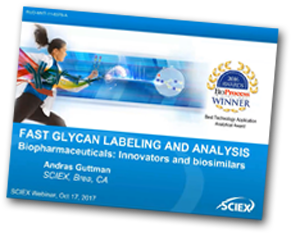 Presenter András Guttman leads the application efforts in SCIEX in California, where his work is focused on CE and CESI-MS based glycomics and glycoproteomics analysis of biopharmaceuticals. The focus of this technical note is N-glycosylation profiling of carbohydrates associated with therapeutic antibodies for faster, more cost-effective development of biologics. 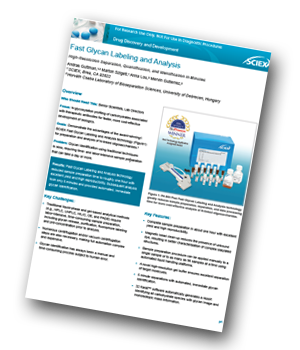 The goal is to demonstrate the advantages of the SCIEX Fast Glycan Labelling and Analysis technology for preparation and analysis of N-linked oligosaccharides. Integrating CE and electrospray ionization (ESI) into one dynamic process, within the same device (CESI), simplifies coupling CE with MS. CESI-MS can be employed to characterize differences in the charge and glycosylation profiles of mAbs from different manufacturers. Learn the value of CESI-MS to the characterization of mAbs, and how the technique can characterize differences in charge and glycosylation profiles. Presenter Esme Candish is an application scientist with SCIEX. Her current work focuses on applying CE and CESI-MS for the analysis of proteins and post-translational modifications. This technical note describes the comprehensive characterization of a representative monoclonal antibody Trastuzumab (Herceptin), illustrating the benefits of CESI coupled with high resolution mass spectrometry.